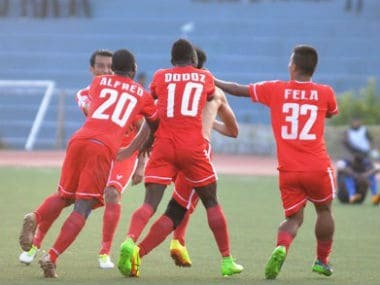 Reigning champions Aizawl FC ended table-toppers Minerva Punjab FC's five-match winning streak in the Hero I-League with a crucial 2-1 victory, in Aizawl on Wednesday. 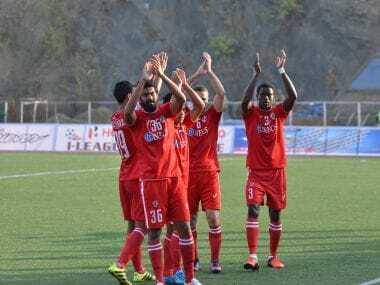 Aizawl FC went down 0-1 to their Northeastern rivals Shillong Lajong FC in their last tie. 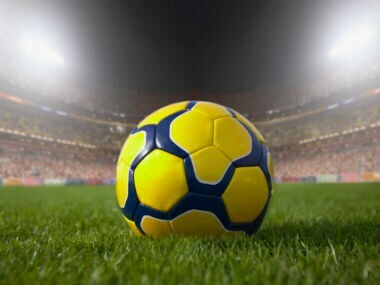 They would look to make amends of that disappointing result against the Punjab side. 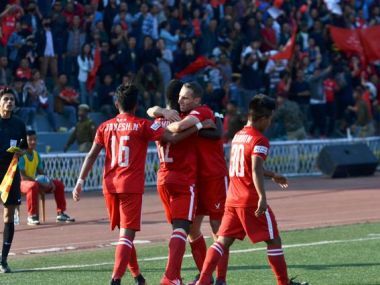 In a stereotypical twist of ills that beset the underdog, Aizawl will have to do it without their captain, Alfred Jaryan, and the ever reliable full back Ashutosh Mehta. Jaryan has played every game of Aizawl’s unbelievable season. I-League 2017 title race: Can Aizawl FC's collective rise overpower Mohun Bagan's individual superiority? On Saturday, in a virtual title decider, you can expect Aizawl to be the better of the two sides but if there’s one takeaway from Mohun Bagan’s campaign this year, it is that being superior on the pitch serves as no guarantee of defeating the Kolkata giants. Super sub Ivan Bukenya's strike a minute before the regulation time saved East Bengal the blushes as they managed to hold minnows Aizawl FC to a 1-1 draw in the opening match of the 10th I-League football tournament in Kolkata on Saturday.